I am a journalist and writer. I am from Newcastle but have lived all over Europe and beyond. I now live in Delft, in the Netherlands, and work at the European office of the World Resources Institute. 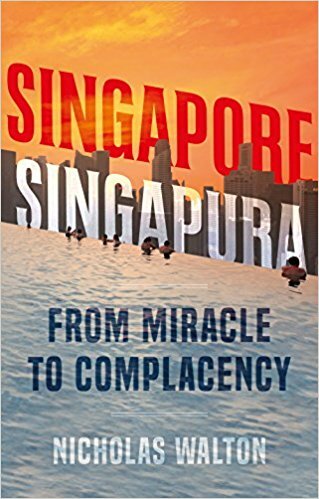 My new book is about Singapore, looking at its history and what made its Miracle, and asking what the future holds for it. The book is structured around a 53km one-day hike across the country, and it's called "Singapore, Singapura: from Miracle to Complacency". The hardback version is published in August 2018, and it's available for pre-order on Amazon. If you are looking for a book about a forgotten medieval superpower and a story involving prostitutes, slaves, pirates, footballers, chocolate makers, flower sellers, transsexuals, explorers and the Black Death, you could do far worse than buy a copy of my book, "Genoa 'La Superba': the rise and fall of a merchant pirate superpower". I've spent the last few years writing Economist Intelligence Unit reports about issues like the future of education and digital media, podcasting and blogging for Ogilvy, filming, reporting, and countless other things that don't appear under my own name. If you have a project you'd like to discuss, please get in touch.